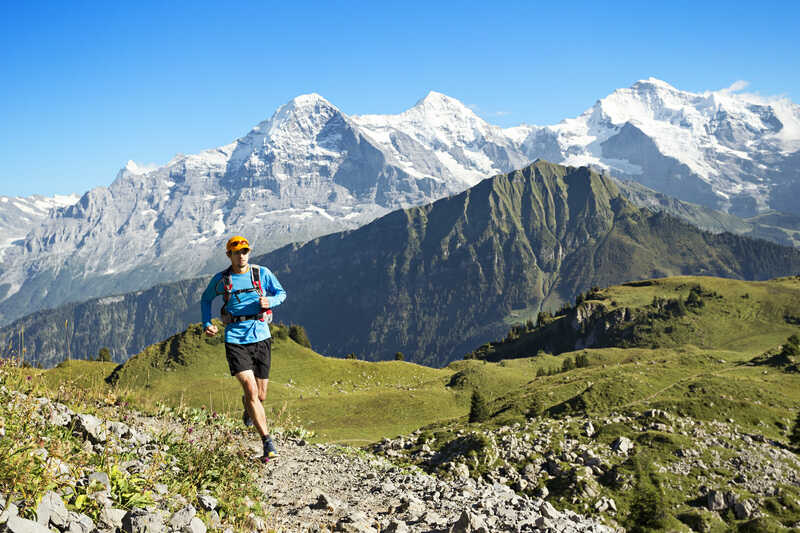 Popular and extremely well-organized events, the Zermatt Marathon and Ultra-marathon are part road race, part trail race. Both are major uphill challenges — the marathon climbs 1,944 meters, and the ultramarathon, 2,458 meters over an additional 3.4 km. The first half of the course follows the road from St. Niklaus to Zermatt. In Zermatt, crowds of cheering onlookers line the route, while the course flattens briefly for a few kilometers. Outside of town, the route then steepens once again, following mostly dirt roads, with some sections of trails. The marathon finishes at the famed Riffelberg hotel, high on the massif opposite the Matterhorn. An amazing 29 4,000 meter peaks are within view at the finish. Registration includes free train transportation around the Zermatt area, a pasta meal and other treats. Registration is open: Registration closes when limits of 800 for the marathon, 800 runners for the ultra marathon, 800 for the half marathon and 200 runners for the two-person marathon relay are reached. This race is part of the Valaisan Cup.